It’s anything goes (with the optional theme of “party time!”) at 613 Avenue Create this week! 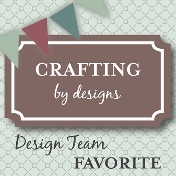 We’ve got 2 fabulous sponsors: Sassy Studio Designs and Oak Pond Creations. 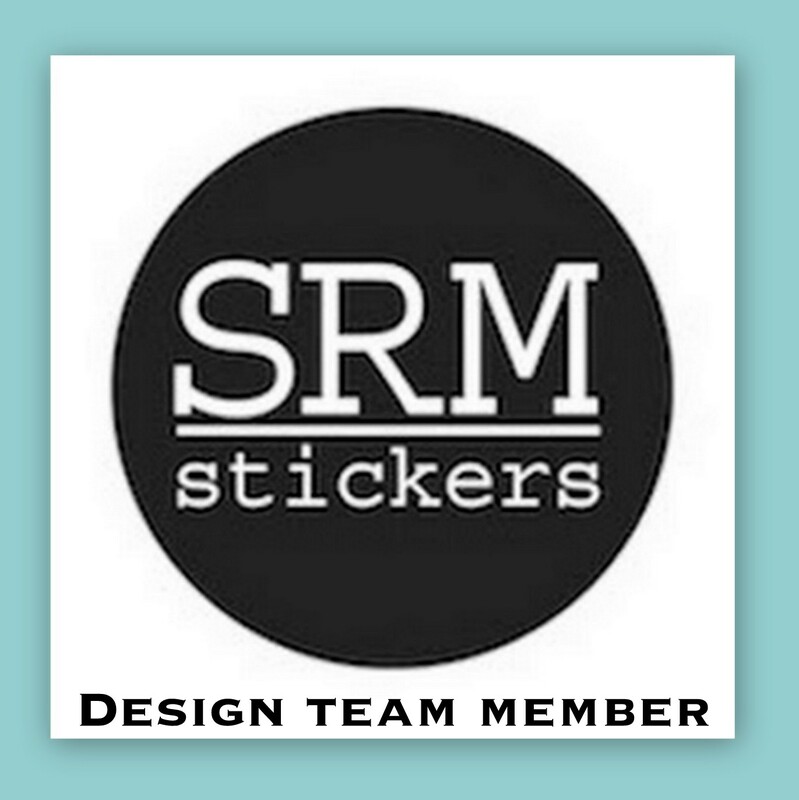 Do check out the blog to see the awesome projects that my teammates created! I hope you’ll play along too! For my project, I used the fun hide n seek ladybugs digi from Oak Pond Creations. I printed it out on cardstock, colored it with Spectrum Noir markers, and then fussy cut. With some masking, I stamped my brush strokes (Vignette: Celebrate Artsy from STAMPlorations) in Memento inks (pear tart, bahama blue, and rich cocoa). I stamped the sentiment (Sentiment Builders: Celebrate) in black. I used foam tape to adhere the colored image in the center and added some sequins (I found them in my disaster craft area stash!). I finished my card by rounding off the two bottom corners. I based the design of my card on CAS(E) This Sketch #85. 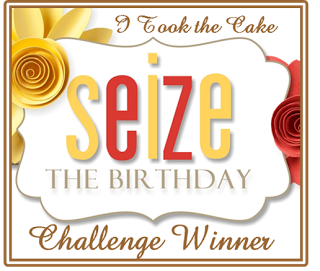 The code word at Addicted to CAS this week is “celebrate” so I’m entering my card there too. 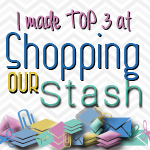 And while I’m at, I’m entering my card to Addicted to Stamps and More, where the challenge is CAS (Clean and Simple). For my card, I colored the heart bouquet with Spectrum Noir markers and fussy cut it. I partially stenciled the Reversed Chickenwire stencil (TCW) on my card base to ground my colored image (mounted using adhesive foam). 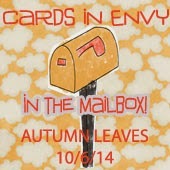 I stamped the “hello” (from the Boxed Blooms and Bold Sentiments by STAMPlorations) and then hand-wrote the rest. I finished the card by applying Diamond stickles on the hearts so they sparkle. DH: [after looking at the card] So did I have you at hello? me: [thinking] Nah. You had me at hi. DH: Oh, is that what I said the first time we met? me: Yeah, and I remember feeling like I was going to pass out as I watched you walk toward me. DH: Good thing you didn’t. I had my hands full with luggage. Anyway, enough of the sappy stuff ;o) I hope you’ll come visit the blog and check out the other projects that my teammates created for the challenge. I’d like to enter my card to the following fun challenges: Addicted to Stamps and More #103 – Holiday (my card fits Valentine’s Day); CAS(E) This Sketch #83; and Crafting with Dragonflies #30 – CAS Card. 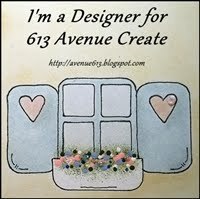 At 613 Avenue Create this week, it’s Anything Goes with the optional twist of using our Create Your Own Challenge chart. 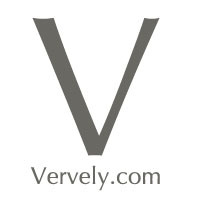 We have 2 sponsors this week: Delicious Doodles and Creative Bug. 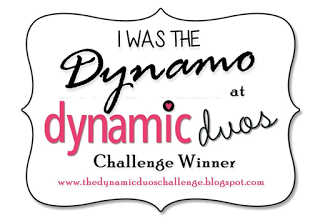 Do check out the challenge blog to see what my teammates created and we’d love for you to join us! 1. Print image on cardstock. Color with Spectrum Noir markers, fussy cut, and set aside. 3. Place 12×12 Specimen stencil (The Crafter’s Workshop) over card base (140-lb cold-press watercolor paper by Canson). Smoosh some mustard seed distress ink on mat and with a very wet brush, paint ink through the stencil. 5. Emboss “thanks” sentiment (from Boxed Blooms and Bold Sentiments) in green and stamp “so much” (from Sentiment Builders: Thank You) in black. 6. Smoosh spiced marmalade distress ink on mat and water it down. Loosely watercolor it onto the card, letting it pool where the modeling paste has dried. With a sponge, lightly apply ink all around the card. 7. Mount image on card base with foam tape. (For added interest, I partially stamped the script stamp on the image too.) Finish the card by applying Diamond stickles on the flowers. The current sketch at CAS(E) this Sketch #83 was my inspiration for this card’s layout. (I’m most likely pushing it a bit with the “clean” part, but it is quite a simple card to put together.) 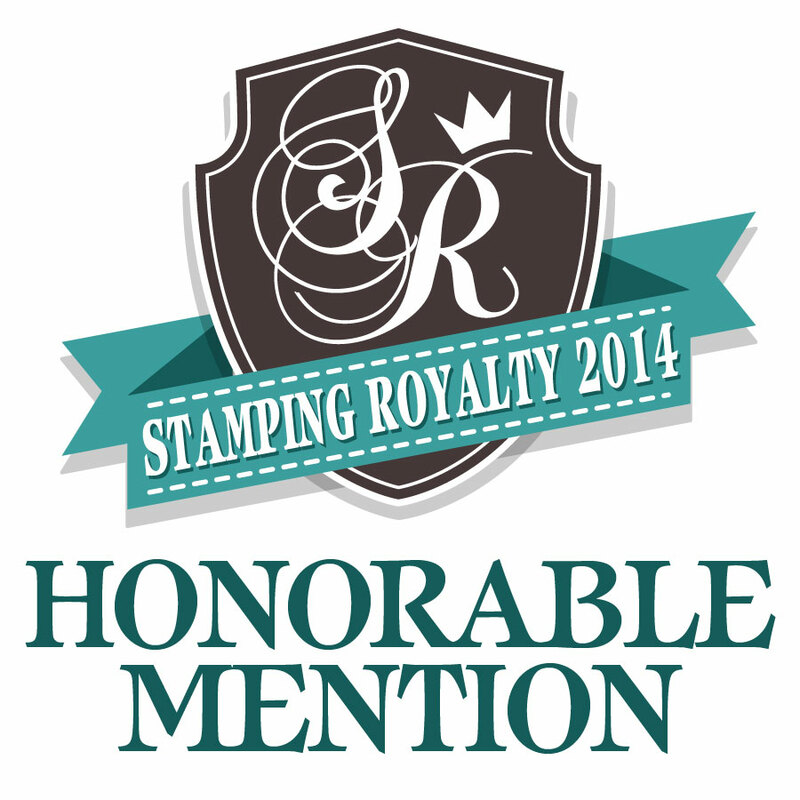 Since I used markers to color my focal image, I can enter my card to Addicted to Stamps and More #102 – Make Your Mark. 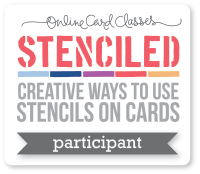 Over at Country View Challenges, it’s “Stencil It!” for July. I’m also entering my card to Sister Act Card Challenge #64 – Anything Goes. My card also doubles as a reminder card for two challenges I’m part of: TIME OUT Challenges, where we’d love to see projects inspired by the phrase, “fun in the sun” (I went with fun yellow colors in my card, and those flowers look bright and happy to me) and The Mixed Media Card Challenge, where our theme this month is “Touch of Nature.” I hope you’ll check out both challenges! Popping by with another one layer card I made last night. I based the layout on the current sketch at CAS(E) This Sketch challenge. For the colors I used to stamp the “heartfelt” sentiment, I was inspired by the photo at Addicted to Stamps and More, where they’re celebrating their 2nd birthday! And because I’ve got my flower stamp in a frame, it fits the current One Layer Simplicity Challenge – I’ve Been Framed. 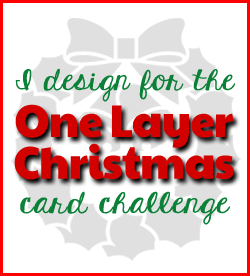 I’m entering my card to two more fun challenges: Crafting by Designs June Anything Goes Challenge and Cards und More #108 – One Layer Cards. I used archival, dye, water-based (distress), and pigment (in the form of Inktense blocks) inks, as well as some watercoloring on my favorite card base (cold-pressed watercolor paper) so you could say this is a one layer mixed media card at its simplest. 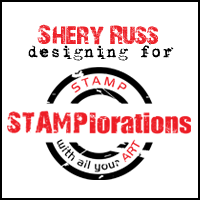 I went with good old-fashioned stamping and used STAMPlorations stamps — SENTIMENT BUILDERS: Thank You and Boxed Blooms and Bold Sentiments. 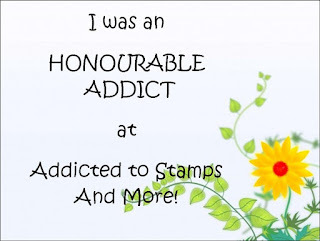 The flowers are ones I illustrated and turned into stamps. For my DT card, I went with a one layer card. The stamps I used are all new — they’re part of the July release (preview all 6 stamp sets here) and in a few weeks, we’ll have a blog hop! I couldn’t wait to ink these up when they came the other day. The artsy brush stroke is from the VIGNETTE: Celebrate Artsy set, while the sentiments are from the SENTIMENT BUILDERS: Celebrate set. I stamped the brush stroke in Memento inks (love letter, tangelo, and cantaloupe). The big “celebrate” I stamped in Memento tuxedo black. 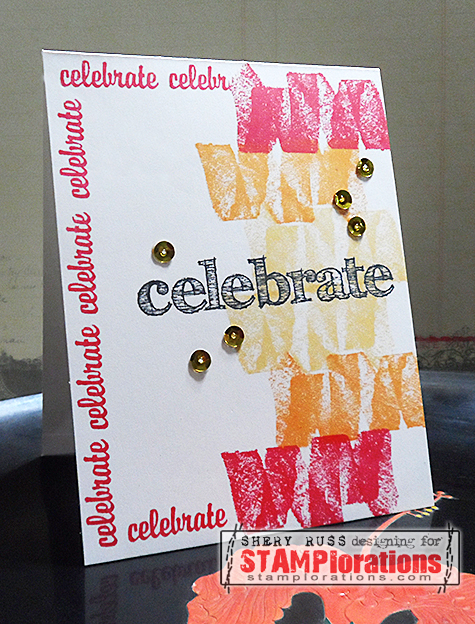 I used the small “celebrate” as a border and stamped it in Memento love letter. I finished the card with some shiny gold sequins. I based the layout of my card on CAS(E) this Sketch #79. 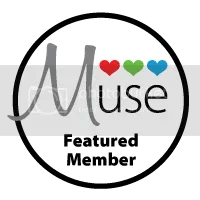 I’m also linking up my card to CASology #98, where this week’s cue word is “Shine” (I’ve got shiny sequins in my card) and Less is More Lucky Dip Week #174 – Use More than One Stamp (I used 3 different stamps). 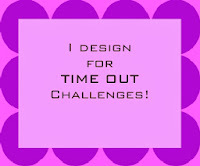 Hello and welcome to a brand new challenge at Time Out Challenges! 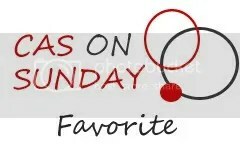 For this fortnight, our theme is SUMMER with the optional twist FLOWERS. So create a project with a summer theme (or anything really wherein your are inspired by the theme) with or without the optional twist. 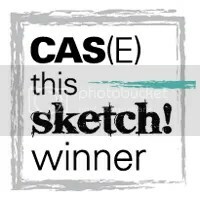 If you do create a project with an optional twist, you get a shot at winning a prize from our sponsor this month, CAS-ual Fridays. 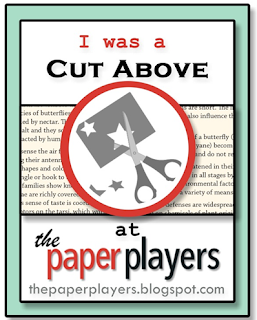 This week, our guest designer is Bobby from Bits & Pieces. 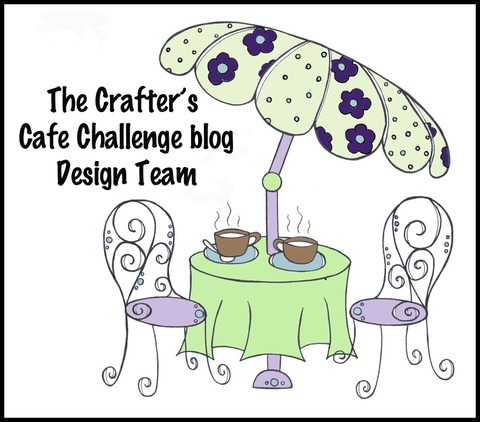 Please check out the projects that my teammates and our guest designer created for the challenge. I’d like to enter my card to the following fun challenges: One Layer Simplicity #6 – I’ve Been Framed; CAS(E) This Sketch #78 (I placed the sentiment toward the top instead of the bottom); Crafting By Designs – Anything Goes; and CASology #98 – Shine (it’s summer now, which means more sunshine and being in California (where we’re hitting the mid-90s this week in the valley, btw), I am enjoying the last of the poppies at our place — they’re starting to wilt under the heat, but they were beautiful several weeks ago when the temps were still cooler; then I also think that the word “bloom” can, in the context of the sentiment, be synonymous with “shine”; other synonyms for shine include “excel”, “be outstanding”, “stand out”, “be brilliant”). 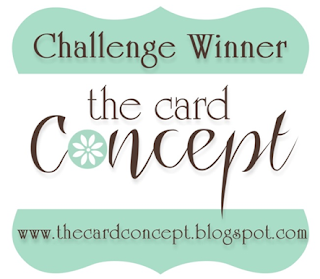 Anyway, the card above is for the current challenge at TIME OUT Challenges. This fortnight, it’s Home Sweet Home Photo Inspiration. 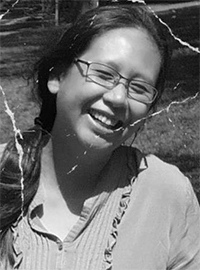 Joining us as guest designer is Christine. 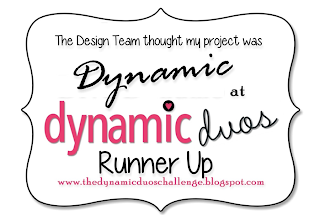 I hope you’ll check out our challenge, look at the projects by my teammates, and then join us! 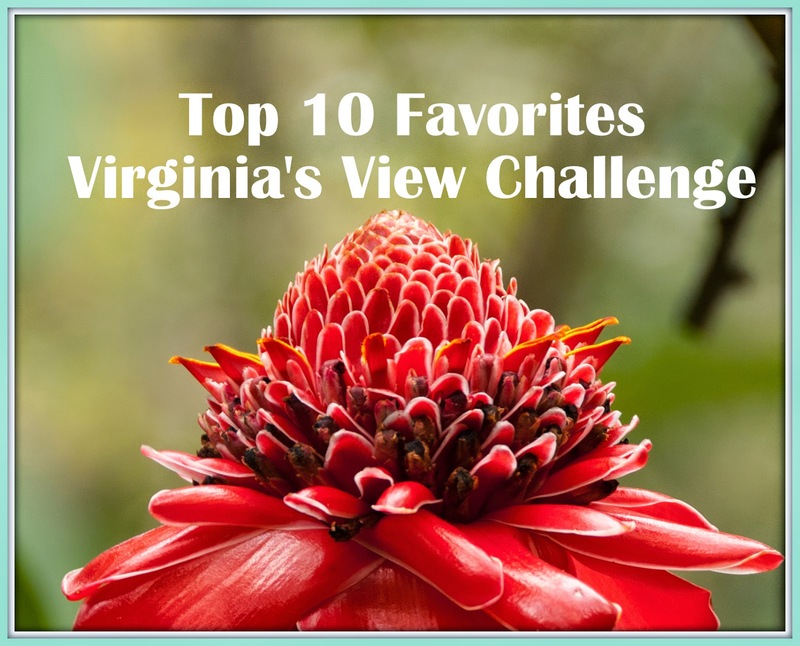 I was inspired by the rich colors in the photo, particularly the deep pink and deep green. 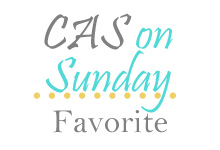 Taking my cue from the beautiful colors, I created the above CAS card. It’s pretty straightforward really: I alternately stamped the grunge floral strips (STAMPlorations) in Memento Lilac Posies and Olive Grove on my card base. 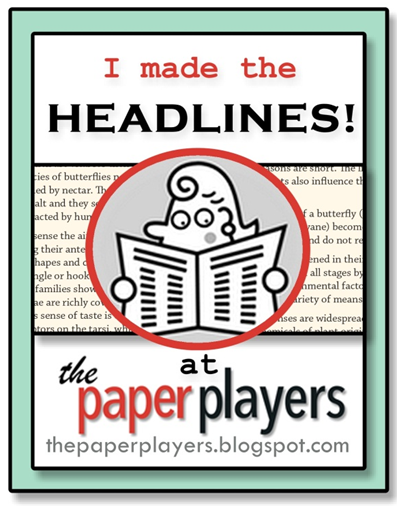 Next, I die-cut a white cardstock panel using a stitched mat die (Lil’ Inker). I stamped a floral stamp (Inkadinkado) in Memento Lulu Lavender on the upper left of the panel and stamped the sentiment (STAMPlorations). I adhered the panel at an angle onto my card base. 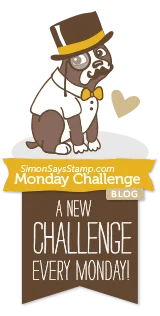 I’m linking up my first card to the following fun challenges: The Paper Players #196 – Clean and Simple Floral; Simon Says Monday Challenge – Botanical; and Addicted to Stamps and More #96 – Anything Goes. 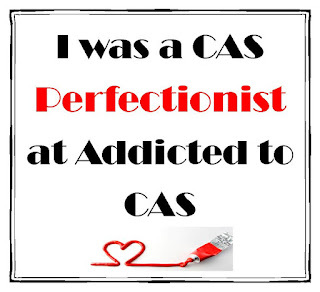 I went with another CAS card. I based the layout of my card on the sketch at CAS(E) This Sketch #76. I used one of the stitched mat dies from Lil’ Inker to die-cut the panel. I stamped the flowers and bubbles (Inkadinkado) on the upper left in Archival Jet Black (Ranger) then loosely watercolored the images with Inktense Blocks (Derwent). 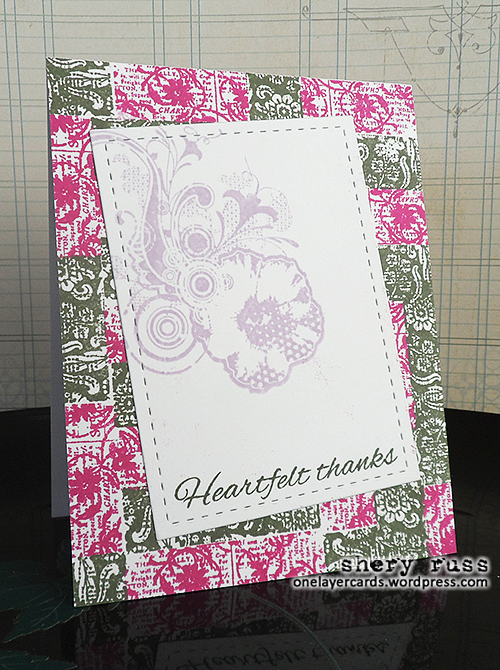 I stamped the sentiment (STAMPlorations) and then adhered the panel onto the card base. I affixed 3 ivory pearls to finish the card. 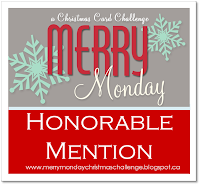 My second card fits a couple other challenges: CASology #96 – Flower and Less is More #172 – Flowers.